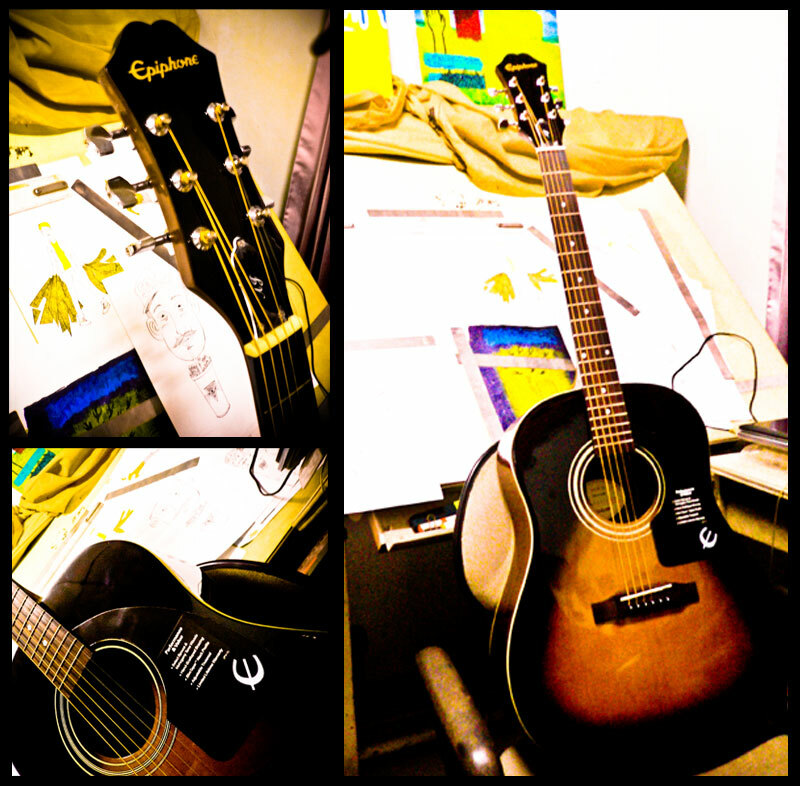 Welcoming Epiphone to my room!! My new mates Epiphone AJ series accoustic folk guitar with semi dreadnought body style, this guitar replacing my Yamaha folk guitar. After waiting for 5 months at last i found my new mates yeayy! !